We have been home for the holidays, and it has been truly wonderful!! My mum, siblings, nephew, hubby, and I have all been snuggled inside the old house tucked away in Moncton, New Brunswick. 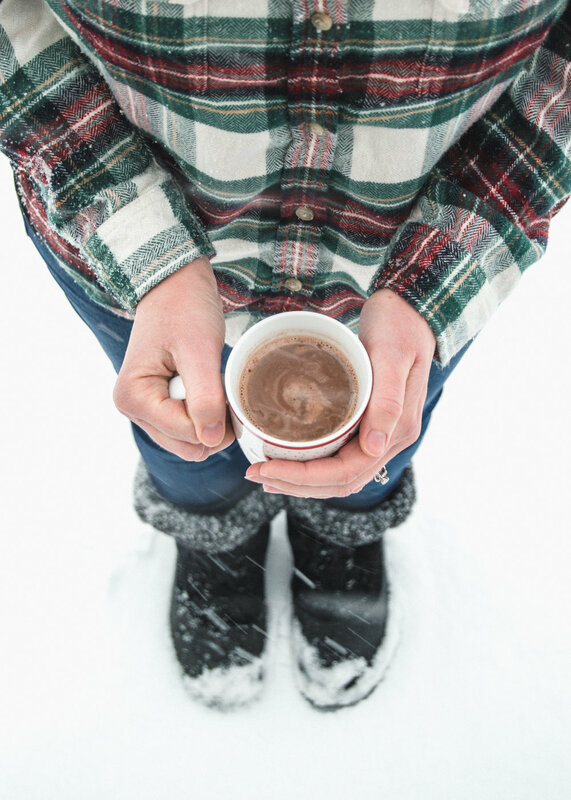 The snow storm is brewing, and our bellies are full. It is so good to be home. I'm wearing the SOFTEST plaid button up from AE with my well-loved Ann Taylor jeans and these amazing Columbia winter boots. These soft flannel American Eagle shirts are on sale right now for $19.98, you can order them online here. These wonderful Columbia Sierra Summette boots are no longer available, but you can find similar Columbia boots for $80 here.